After ten years of planning and six years of construction the Harvard Art Museums opens its doors to the public on November 16. The $350 million renovation combines the collections of three distinct museums – the Fogg, Busch-Reisinger, and Arthur M. Sackler – into one mega-museum. Melanie Hall, director of museum studies at Boston University, had a chance to preview the new space. How do you create a mega-museum? Architecturally, this was not an easy merger. Architect Renzo Piano retained the Fogg’s well-known, Neo-Georgian Quincy Street façade, while replacing a 1991 addition with a large, rectangular box. He lined the exterior of the “box” with grey-stained cedar strips that soften and stylistically localize the façade in updated clapboarding. 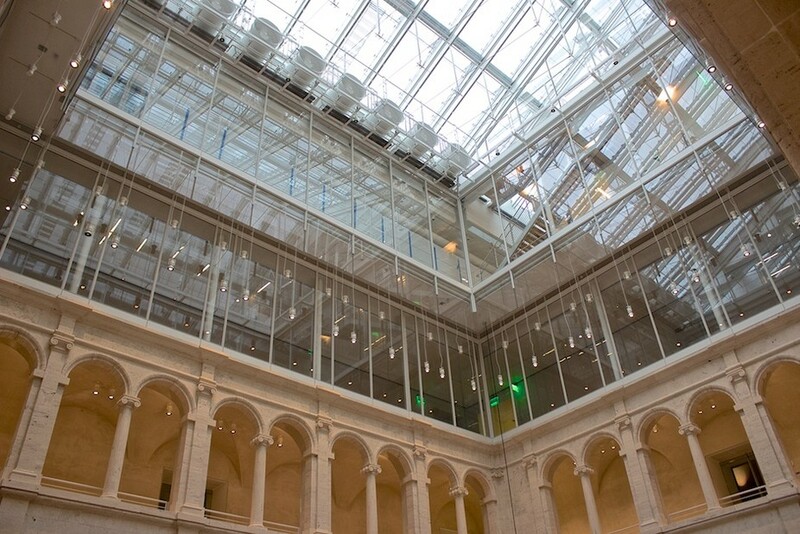 Architect Renzo Piano replaced a 1991 addition to the original Fogg with a modern, box-like stucture. Piano also raised the original Fogg by two stories, adding a beautiful glazed roof-top structure that echoes IM Pei’s Louvre pyramid. This structure unites the two buildings, illuminates the soaring atrium, and deftly contains the building’s functional elements. Piano vastly increased the space. The (former) Fogg’s Renaissance-style atrium now forms the HAM’s spatial core, reminiscent of Isabella Stewart Gardner’s Fenway Court. The design team’s choice of “White Cube” galleries is well-suited to modern and contemporary art, which form an important part of the collections. Piano has wittily included “vitrines,” or glazed rooms, one of which is currently devoted to the Bernini terracottas, and another to Asian arts. These act as a foil to the interior’s otherwise uniform purity. 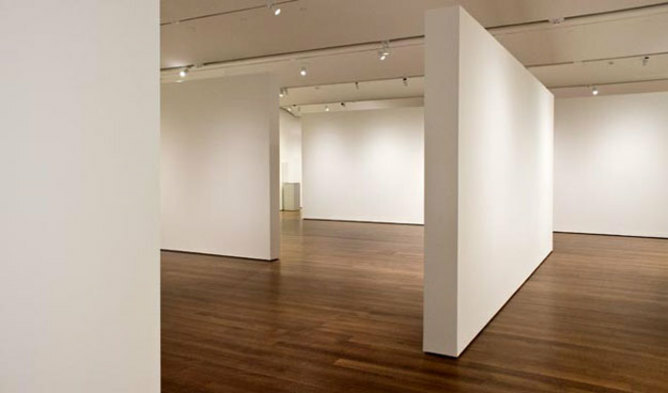 The Harvard Art Museums’ White Cube gallery design is particularly suited for modern and contemporary art. What works of art can visitors expect to see? Although only a fraction of the museum’s collection is currently exhibited, it is a delight to again see familiar master works. The curatorial team has created displays with aesthetic appeal and topical themes. The Fogg’s noted European and American art, the Busch-Reisinger’s Germanic arts, and the Sackler’s antique and Asian works are now displayed together. More recent pieces are found on the lower floor, and viewers go back in time as they ascend each level. 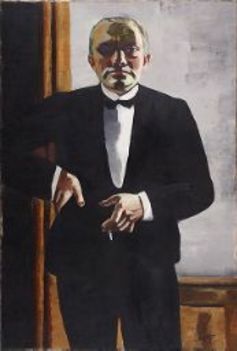 Curators have produced some stunningly placed eye-catchers: Max Beckmann’s Self-Portrait in Tuxedo lures visitors towards him, while Renée Sintenis’s Daphne morphs into a laurel by a window and trees. Poetically, a line of classical torsos on the third floor gaze across the atrium; prosaically, Greek vases and drinking vessels are shown from multiple angles, as is now customary in major museums. Such touches help compensate for the loss of intimacy that the three museums (and especially the Fogg) were noted for. What do the exhibits teach us? The ability to explain technique through demonstrative displays was a particular strength of the Fogg. While more explicit explanations are discarded – such as its demonstration of the fresco technique – there is still an emphasis on teaching. The exhibition of Mary Cassatt’s collection of works on paper – which shows her experiments with different colored papers and inking techniques – will likely delight visitors. 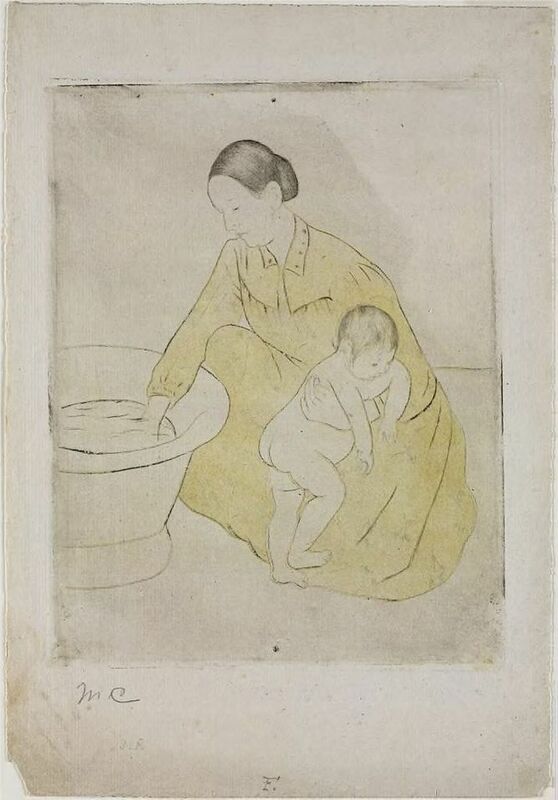 Mary Cassatt’s works on paper allows viewers to study her experiments with color. Meanwhile, the juxtaposition of works by Degas, Sargent and Munch reveals their international influences. And a Titian drawing near a painting by the Renaissance master allows visitors to see his techniques more clearly. In your opinion, what were the university’s intentions for the new space? 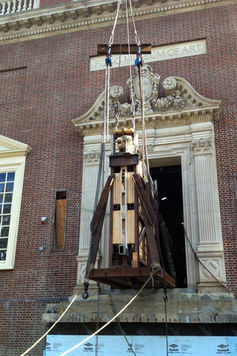 Harvard’s team have emphasized the university’s contribution to the arts in subtle and not-so-subtle ways. Consciously or not, Piano has almost literally constructed an “ivory tower” for art scholarship and conservation sciences. The building is entirely white and glass, unlike the Yale Museum renovations, where historical gallery space is punctuated with lively wall colors. HAM’s top floor, fully visible from below, is dedicated to teaching rooms and conservation laboratories. Museum director Thomas Lentz has emphasized the museum’s educational mission, and the new study galleries are exemplary, as are the visiting scholar facilities. Conservation is part of that mission and the stores, also visible from the atrium, are themselves engagingly displayed; they resemble an “installation” that rivals Damien Hirst’s “Pharmacy” at Tate Modern, London. The opening exhibition features a series of six Mark Rothko murals, large panels commissioned by the university in 1962 for its Holyoke Center (now the Smith Campus Center). HAM showcases Harvard’s prestige in patronage and conservation through its use of innovative, digital methods to restore the faded works’ original color. 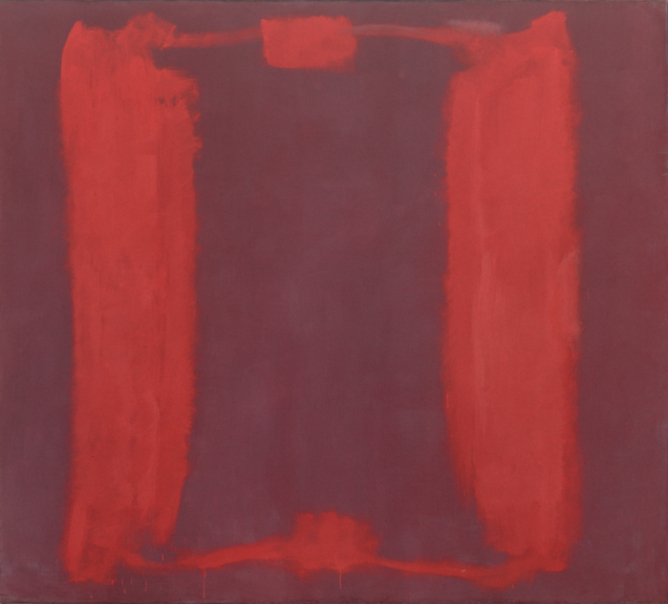 The museum showcases the restoration of Rothko’s Harvard murals to their original colors. They have also re-installed alum Lewis Rubenstein’s Hunger March murals (1933), a technical challenge for the museum as well as an artistic feat. How does the HAM compare to other university-affiliated art museums? 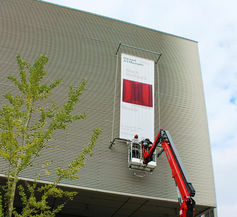 The installation of Lewis a technical challenge for the museum as well as an artistic feat. Its peer institutions, Yale, Oxford and Cambridge all have phenomenal collections that are free to the public all the time. 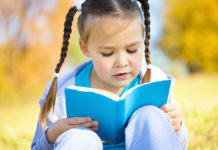 At those institutions, education through the arts is provided to anyone who wishes to learn. At the HAM, the general public must pay $15 for entry; non-Harvard students must pay $10. The HAM does offer limited free weekly hours from 10am to noon on Saturdays and a peak at the courtyard. But regular visits may be a financial burden for some young scholars and artists. And finally, what about the name? We have lost the familiar names associated with the Harvard Art Museums. Museums around the globe have entered a phase in which identities are more clearly branded. Along with this has come a tendency to use acronyms (particularly in the United States) and to drop the definite article. My preference would be for HMA over HAM – though I suppose it was fitting that they served prosciutto at the preview. 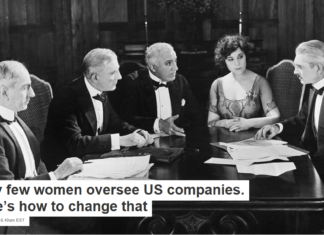 Melanie Hall does not work for, consult to, own shares in or receive funding from any company or organisation that would benefit from this article, and has no relevant affiliations. Next articleDo stricter controls curb opioid abuse? 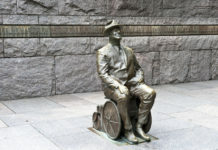 How can we fulfill the promise of the Americans with Disabilities Act?